I think most people understand that in order to see results from any fitness routine, yoga included, you need to be consistent. However, with busy schedules and family and/or work obligations, it can be hard to stay consistent with your yoga practice. 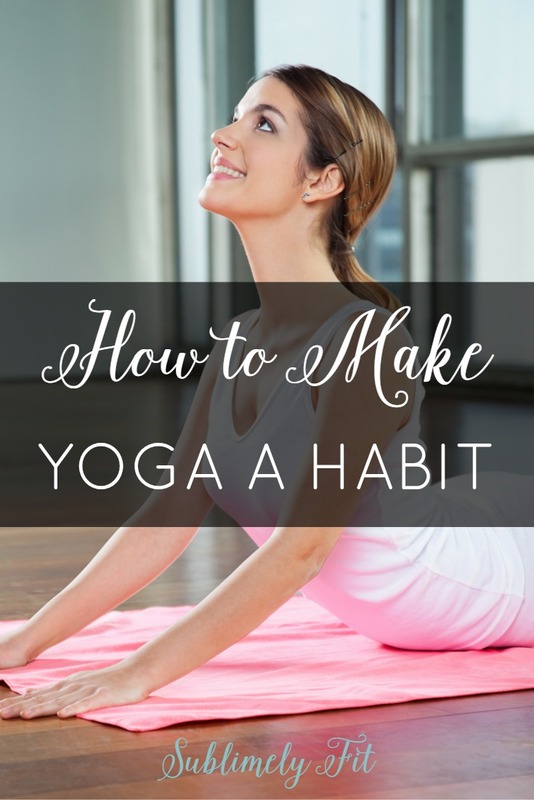 Today I wanted to share my top tips to help you make yoga a habit. The most important thing you can do to make yoga a habit is to decide that it’s important enough to carve out time for. We make time for the tasks that we know are important to us. If yoga really is important to you, you’ll make the time. So, the first thing you’ll need to do is to find the right mindset. Maybe write down a list of the reasons why you want to make yoga a habit. Do you want to be stronger? Do you want to relieve stress and feel happier? When you remember why you’re doing something, it’s easier to follow through and stick with it. Like anything in life, consistency is key to making any worthwhile changes you want for yourself. Habits are built on consistency. They say that it takes 30 days of doing the same task every day to make it a habit. You may not be able to practice yoga every day, but if you practice yoga three times a week for several weeks in a row, you’ll start to form a habit. Consistency is also the only way you’ll see progress, which will help keep you motivated. Practicing yoga every now and then won’t get you any results with flexibility and strength, and you won’t see any mental results, either. Even practicing yoga for stress relief takes consistent practice week after week. Remind yourself that being consistent is what will really get you results. When I’m really struggling to stick with my daily yoga sessions, I’ll start to put them into my calendar. If they’re not in my calendar, it’s easy to forget about them until the end of the day, when I’m tired and ready to go to bed. My calendar helps remind me that I decided yoga is important, and that I need to follow through. Scheduling your workouts, and keeping those appointments like you would an appointment with your doctor or your boss, really does help. Your calendar can be your best friend as you make yoga a habit. Although it would be great to be able to take a one hour class at a yoga studio every day, most of us don’t always have the time for that. Even a quick 10 or 15 minute at-home yoga session will help keep you practicing consistently. So, don’t let yourself buy into the lie that if you can’t spend a big chunk of time doing yoga, it’s not worth doing at all. You’ll start to see improvements with flexibility, strength, and mental clarity with short sessions, too. And, short sessions are great for working on those specific goals. They’re great if there’s a certain pose you’ve been working on or a muscle group you’ve been working to stretch. 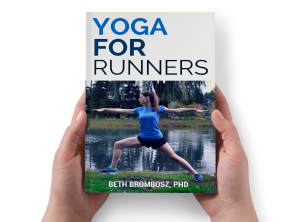 Yoga, like running, like lifting, like healthy lifestyles… all just need consistency. Set yourself up to succeed! Oh if I already only had it planned out for me, that would be so much easier to simply follow a plan. I will definitely attempt to make a schedule of my own and make it a consistent daily routine. 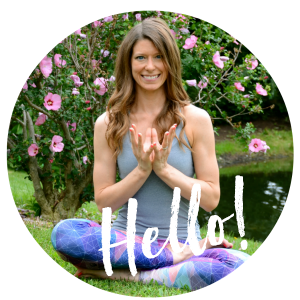 If you’re looking for something already planned out yoga with adriane does a 30 day challenge where she emails you a different free video everyday. The videos are also all available on YouTube. Great tips for a beginner like me! I have always had an interest in yoga but never really knew where to start. Just making it a priority is step one! Now you would think that is very obvious but sometime we just have to be reminded. Thanks again for the great advise and looking forward to reading your blogs in the future!